Urban areas, farmland, and rocky cliffs. May gather in large flocks in urban parks where people feed them. You can find them on almost every man made structure around Rochester, NY. They eat a wide range of seeds, corn kernels, bread crumbs, and many foods that may have been left by people. Why are pigeons considered a nuisance? 1.Droppings coat and corrode building and statues. In areas that have large flocks, cars, benches, and public areas will acquire large amounts of droppings. The droppings can promote the growth of the fungus that causes histoplasmosis, an airborne disease that affects people. 2.Eat or contaminate stored grain. 3.One of their parasites, the northern fowl mite, is also a major pest of poultry. Other pigeon parasites (mites, fleas, lice) will bite people. Some of their parasites destroy fabric or stored foods. 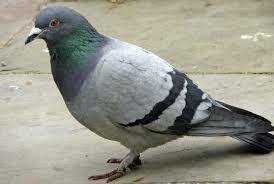 4.Pigeons can transfer disease from one livestock facility to another. Histoplasmosis, salmonella (food poisoning), cryptococcosis, pigeon ornithosis, encephalitis, and Newcastle disease, among others. 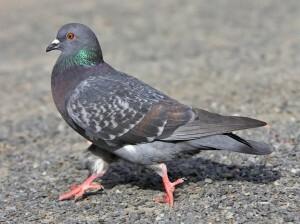 We Offer Pigeon control and removal throughout Rochester, NY and its surrounding areas!